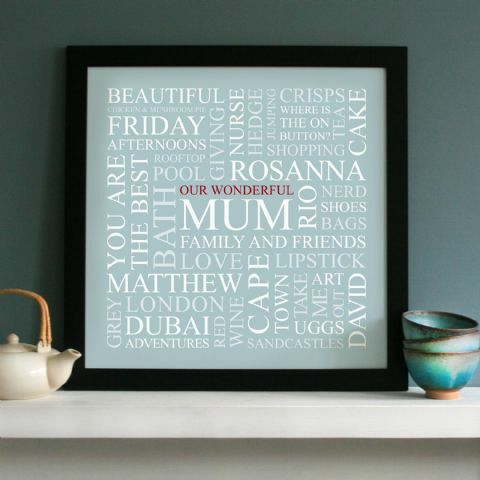 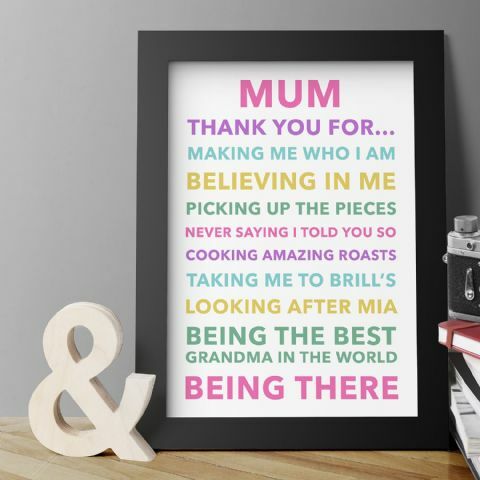 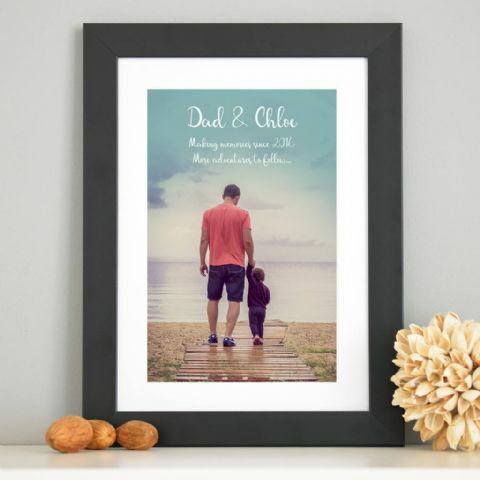 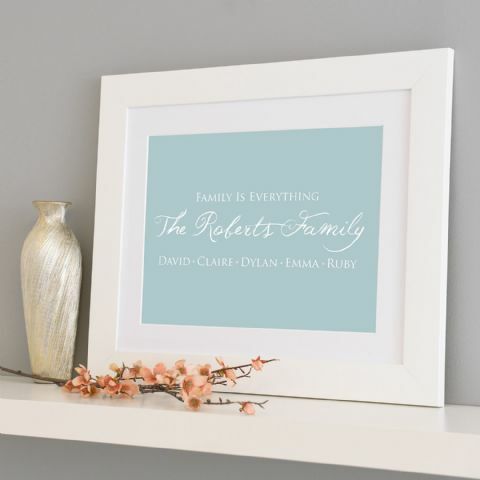 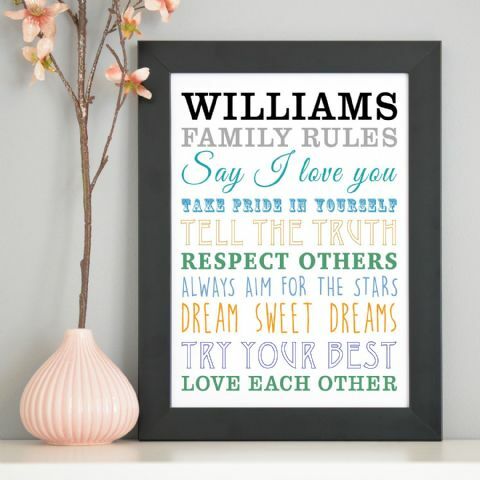 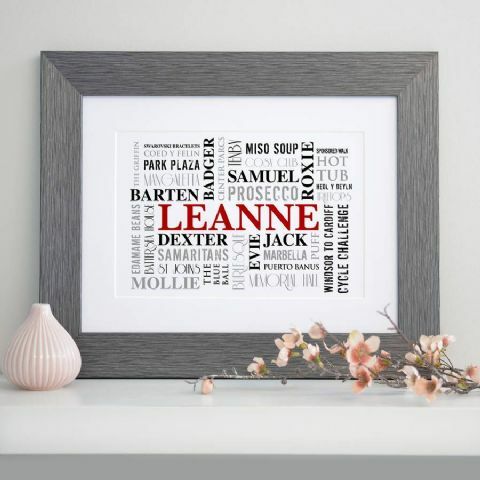 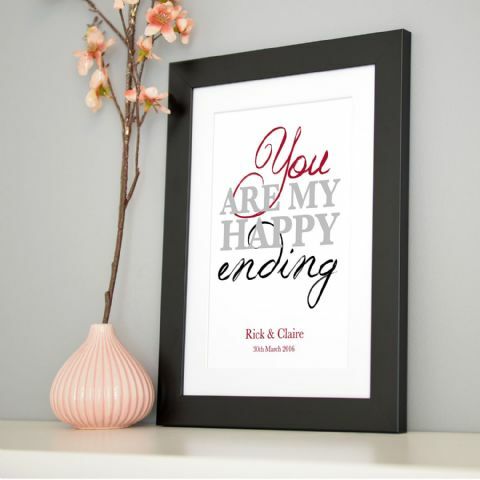 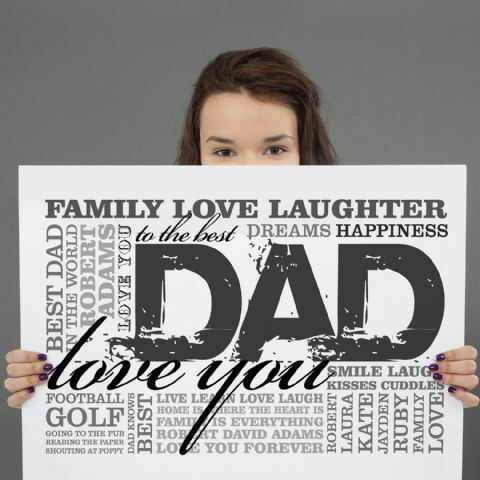 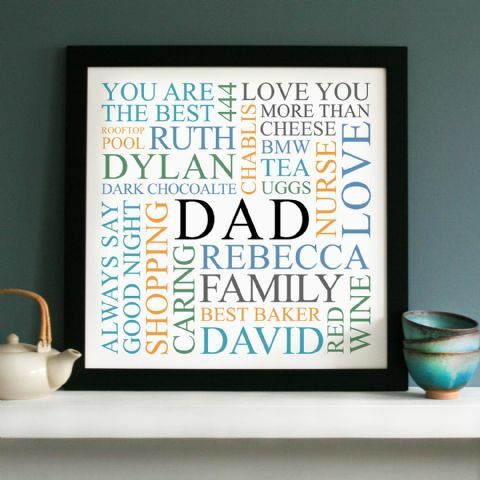 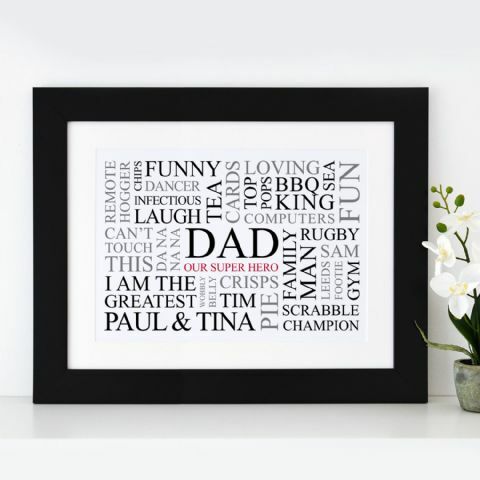 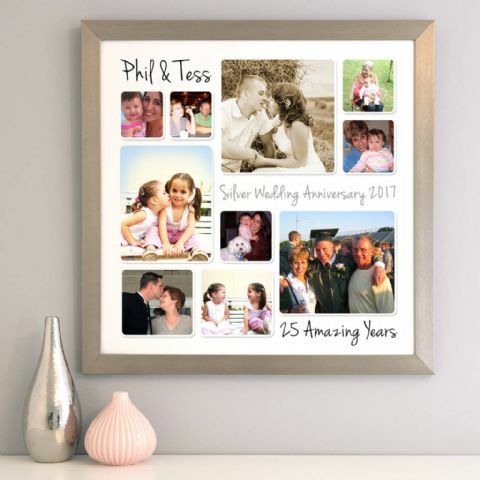 Here at Cherry Pete, we offer a wide range of personalised designs such as, typographic art, personalised collage photo frames for any occasion, family word art, golden wedding anniversary prints for a very special couple, a personalised word art for a birthday or a friend, browse in the ‘Wall Art’ category to find so many different designs to cater for any occasion and make it completely personal. 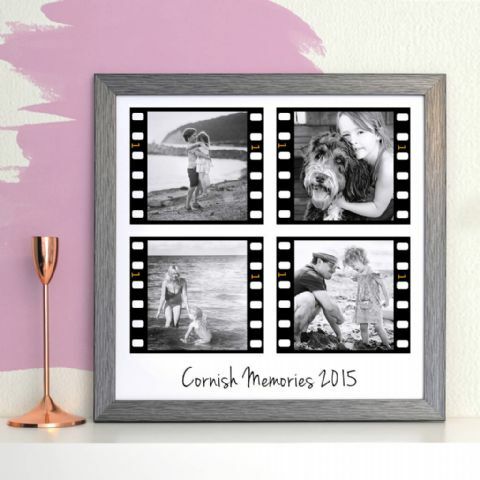 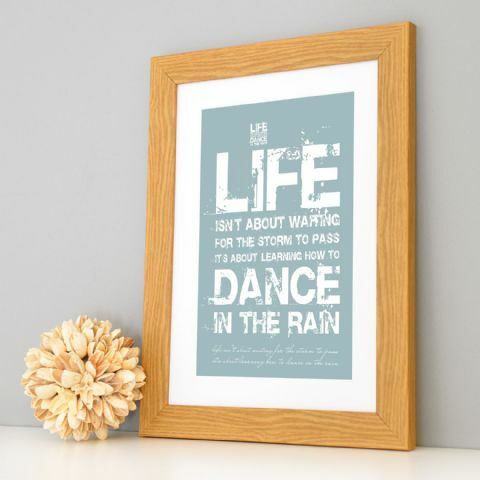 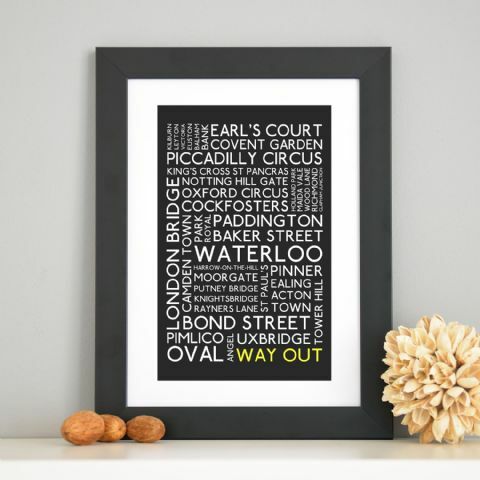 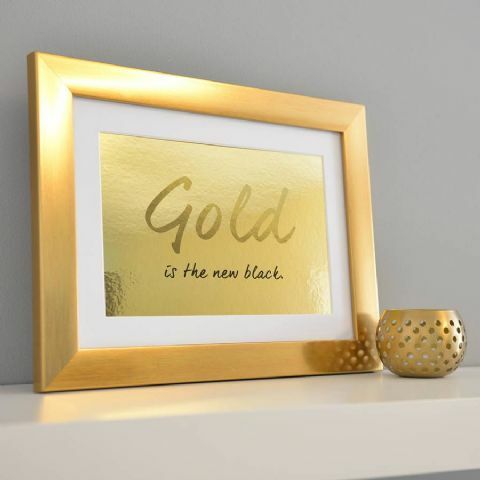 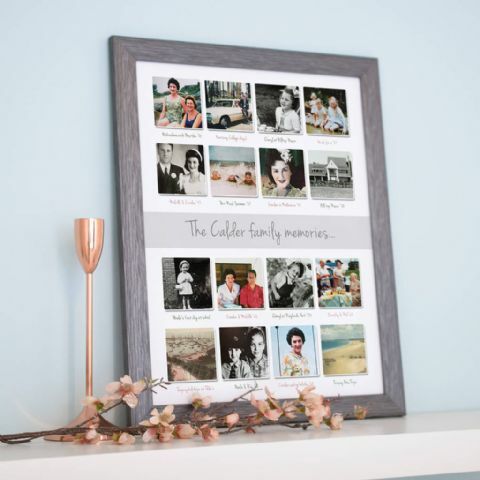 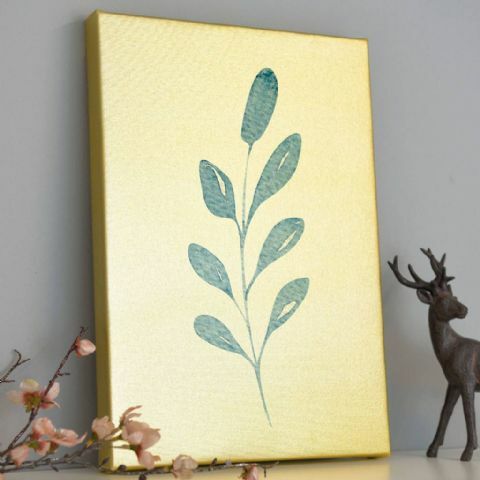 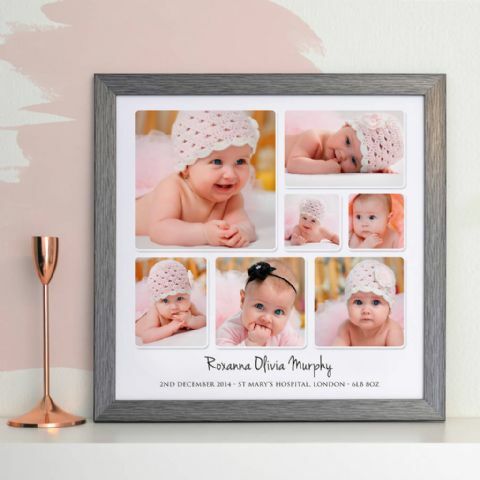 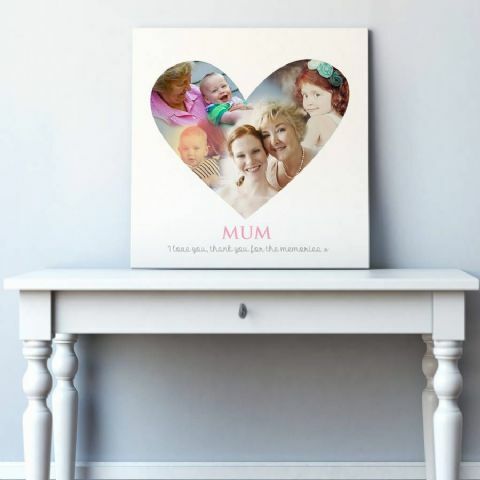 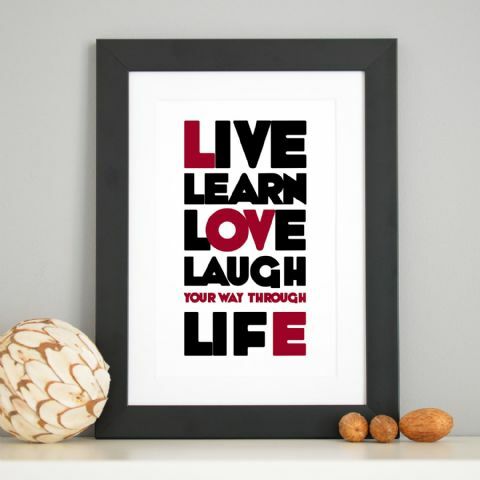 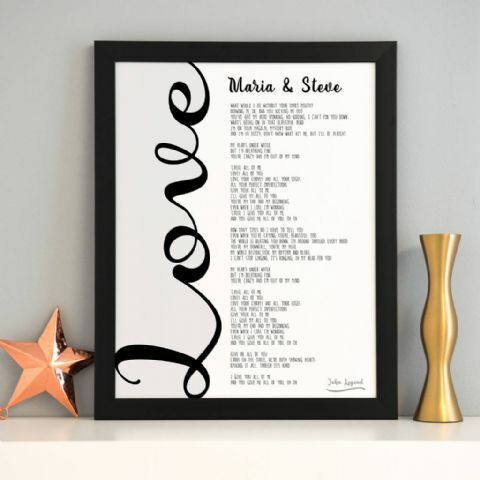 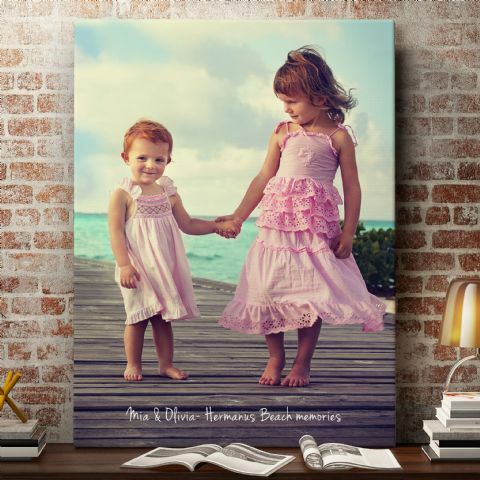 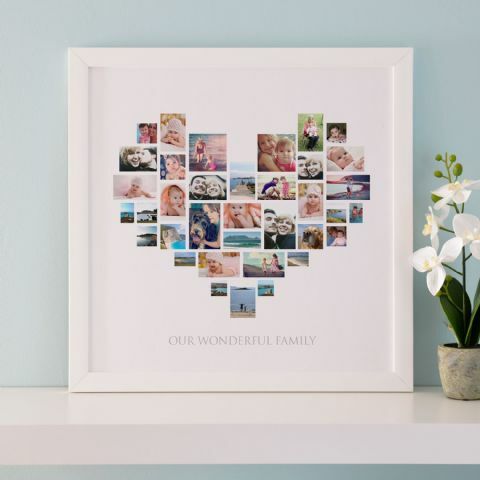 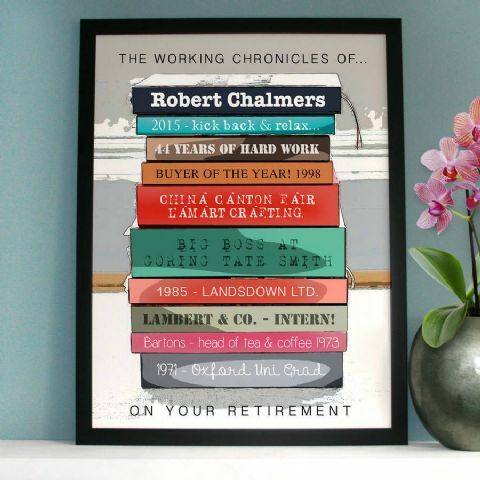 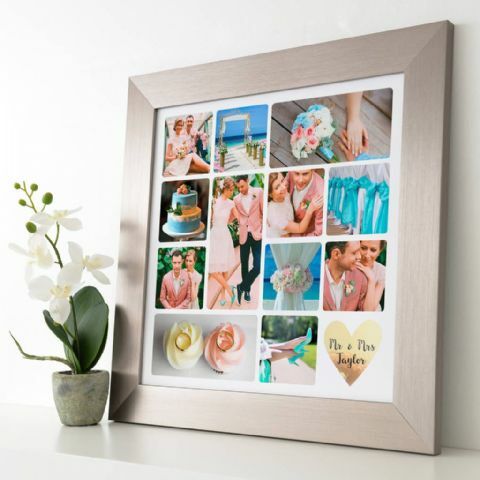 All our items come in different finishes, find cherry pete frames, cushions, canvases, block mounted prints and more. 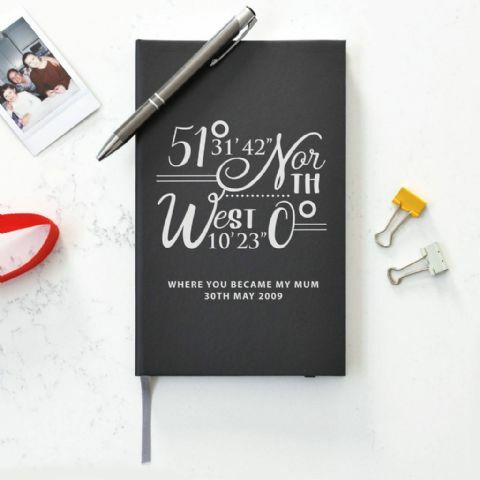 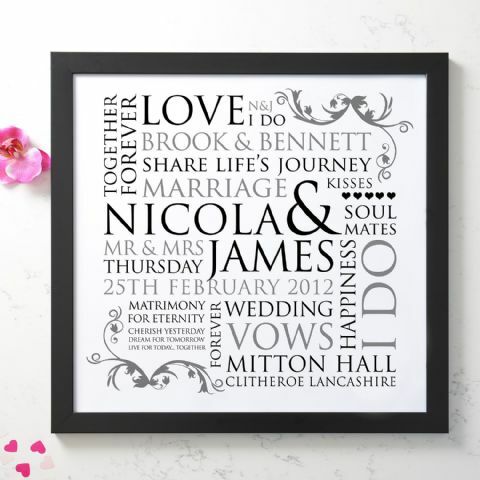 You can also browse by category if you know exactly what type of design/occasion you are looking for. 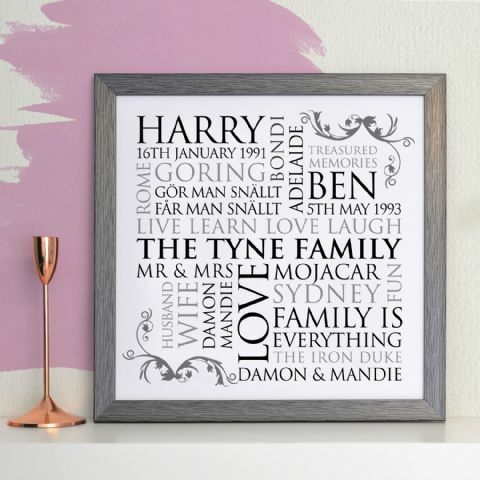 Browse by, Wedding and Partnerships, Anniversary, Birthdays, Fathers Day, Mothers Day, New Baby and Christenings, New Home, Retirement, Valentines, Christmas, For Couples, For Families, For Fathers, For Mothers, For Friends, For Grandparents, For Her, For Him, For Kids and Babies, For Loved Ones, For Teachers, Personalised Cushions, Personalised Photo Designs, Personalised Wall Art, Personalised Cards, Personalised Birthday Cards, Personalised Fathers Day Cards, Personalised Mothers Day Cards, Personalised Valentines Day Cards, Personalised Wedding Seating Plans and Photo Wedding Designs, the list is endless! 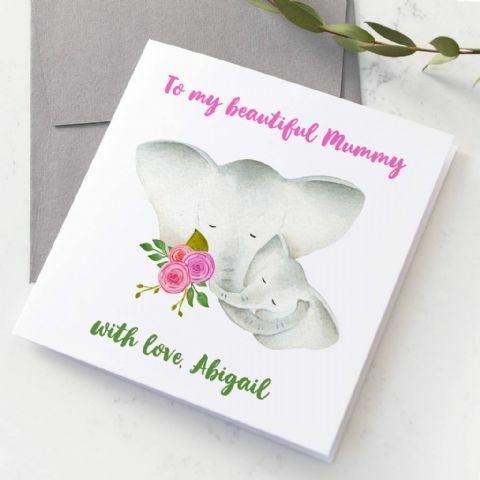 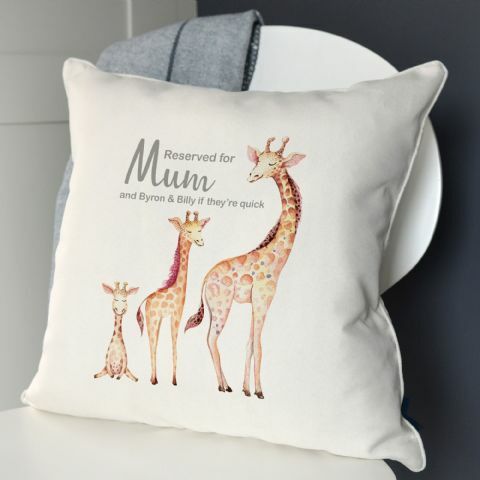 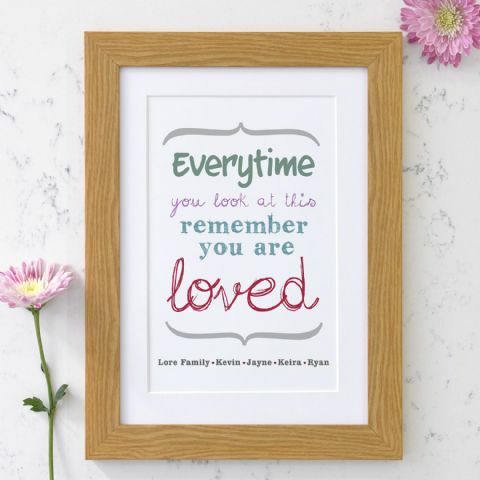 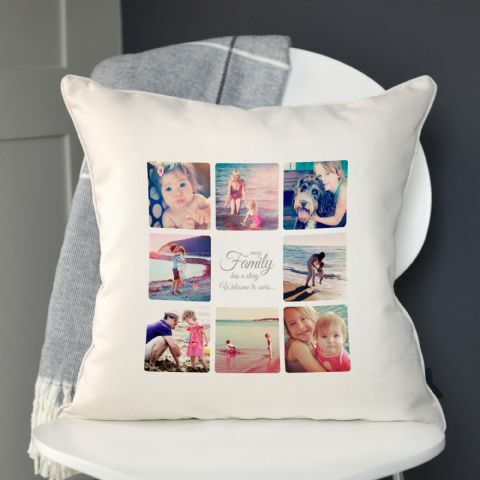 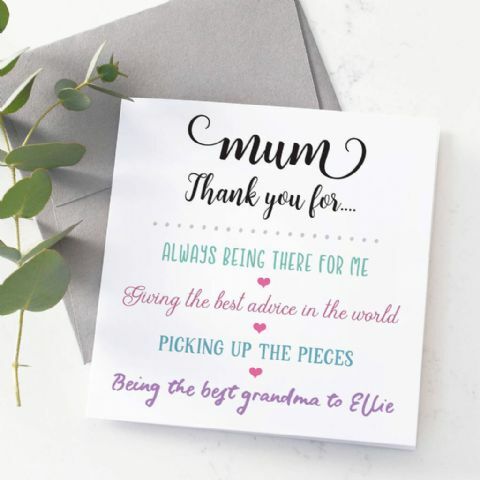 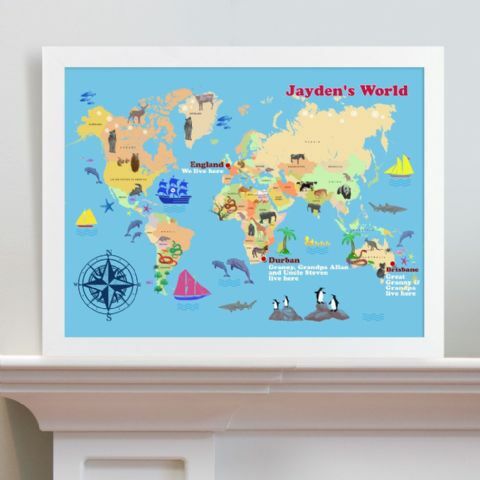 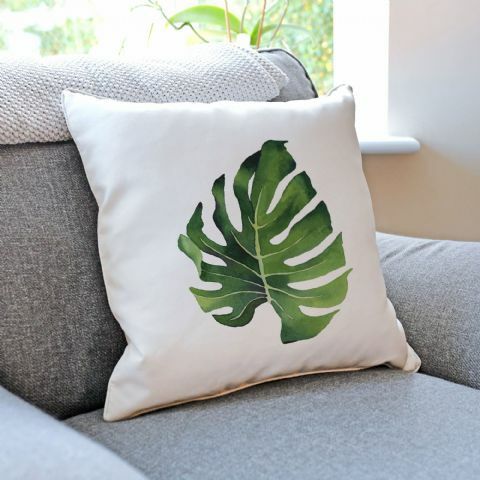 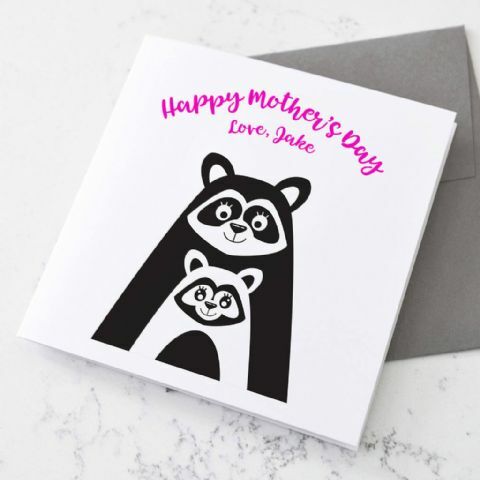 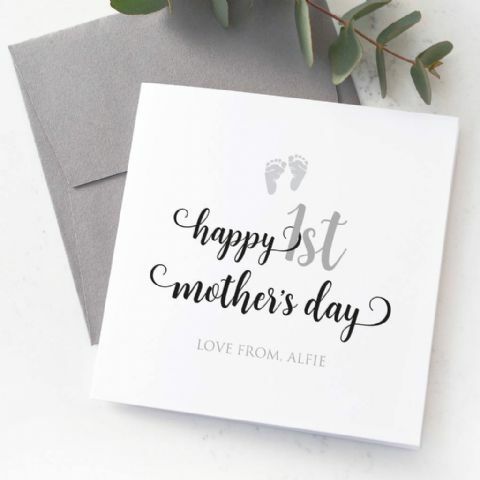 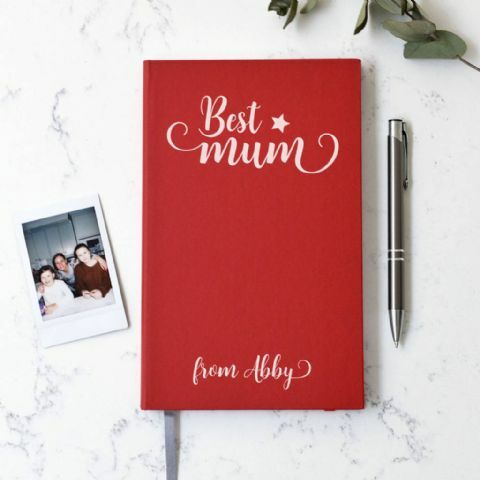 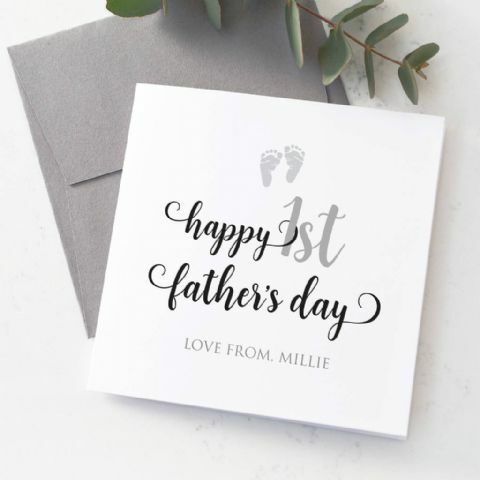 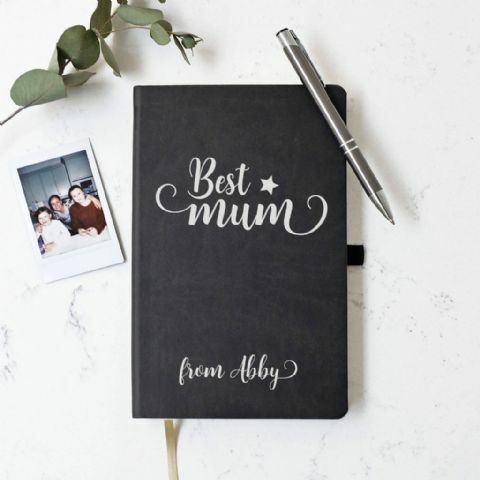 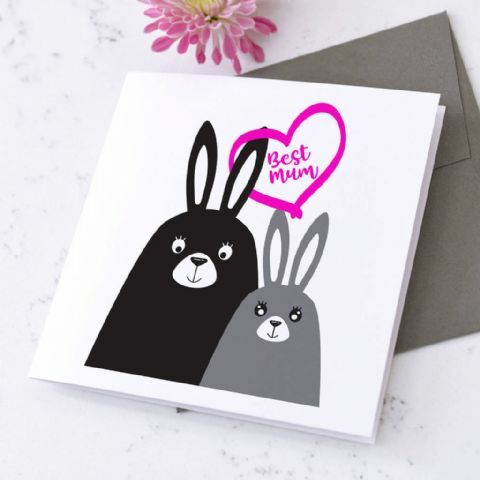 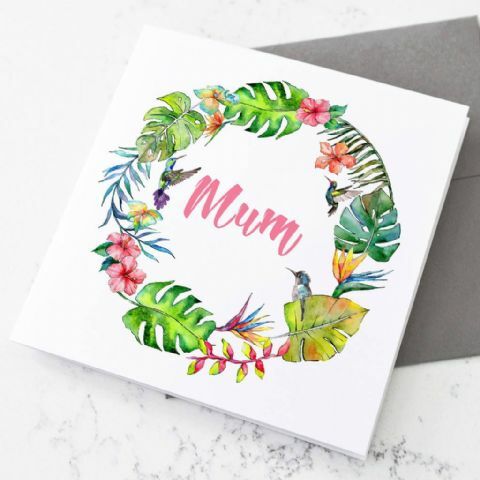 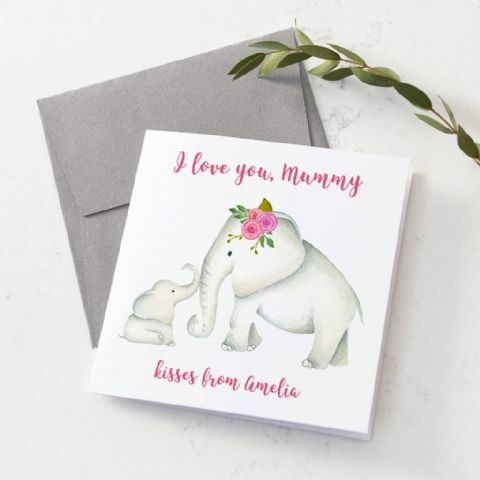 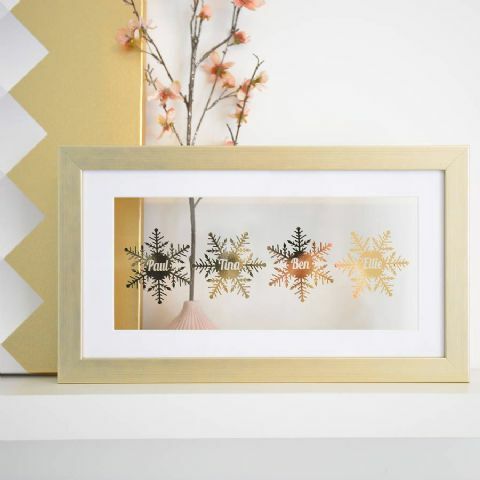 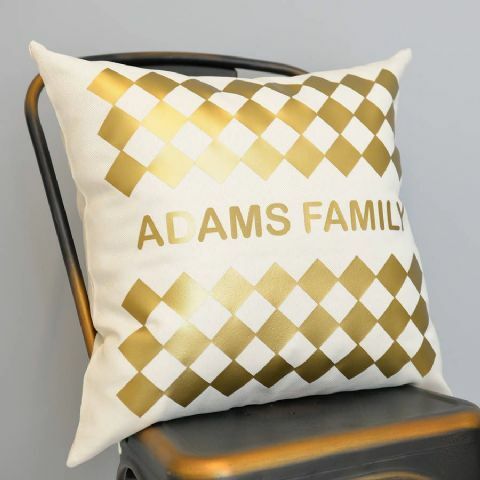 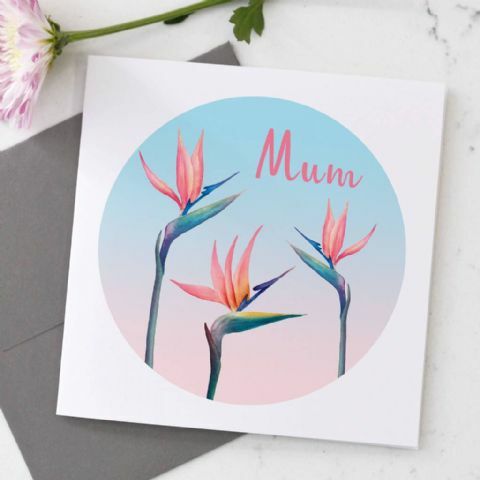 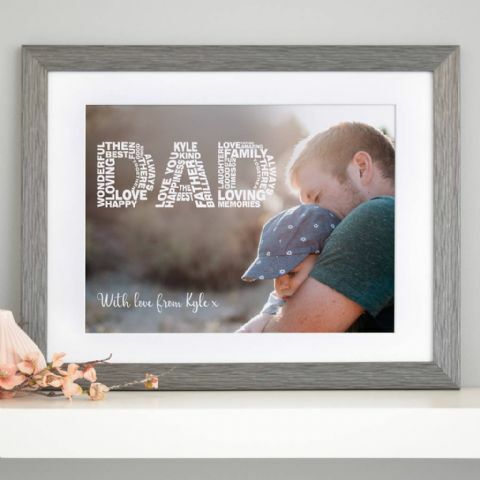 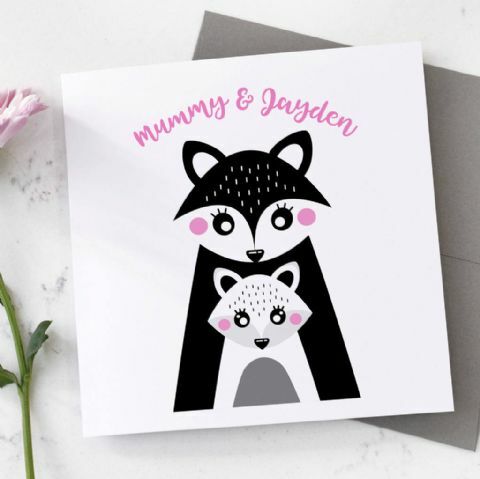 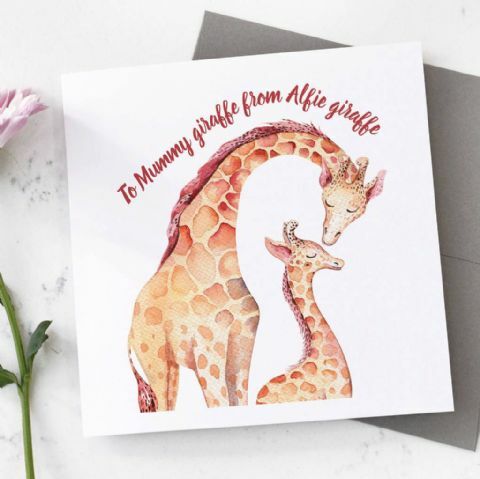 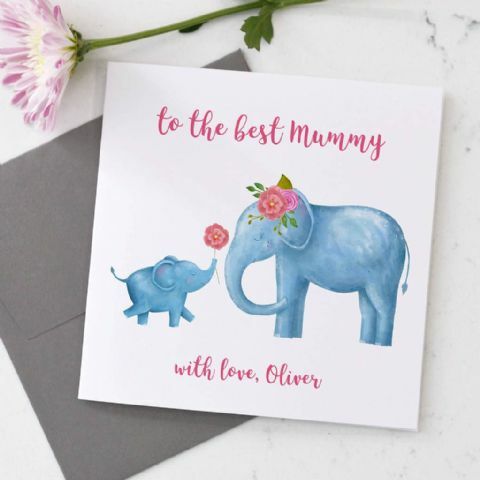 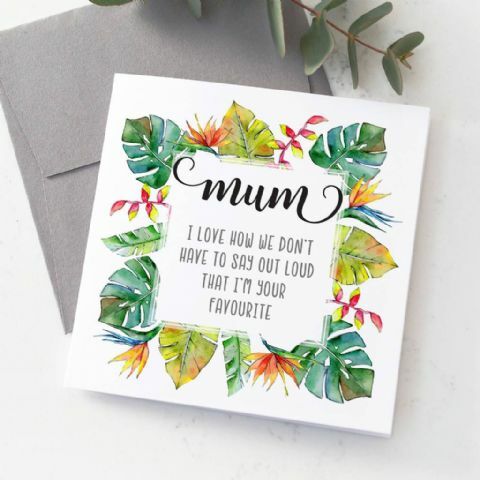 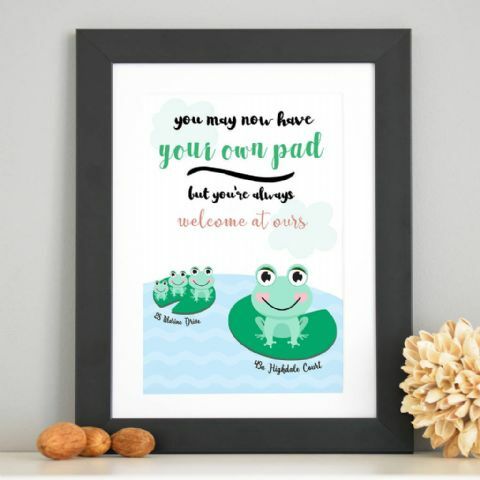 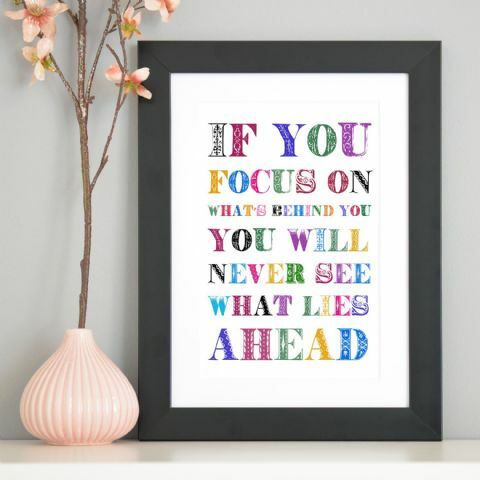 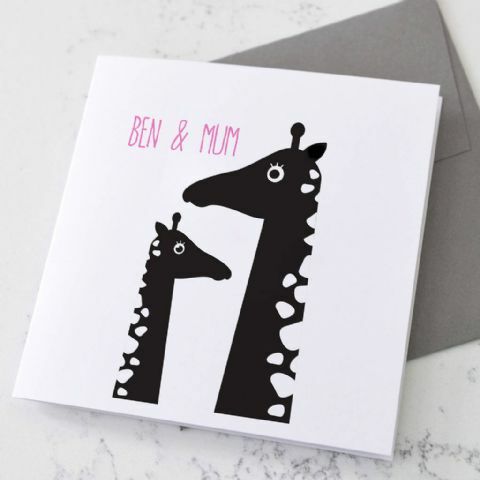 We do also offer a small range of simple but beautiful Non-Personalised Products full of colour and something very unique! 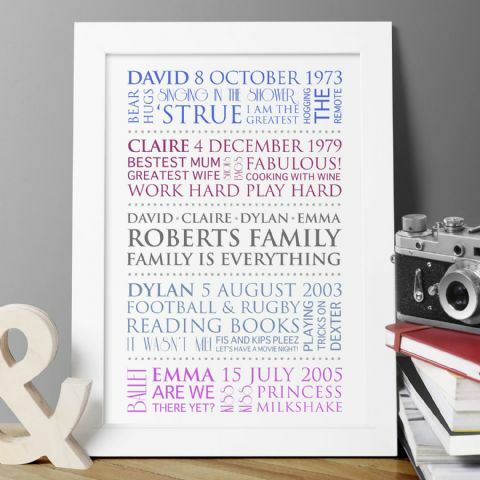 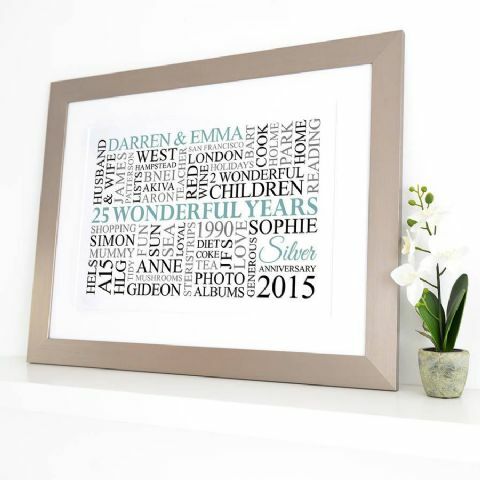 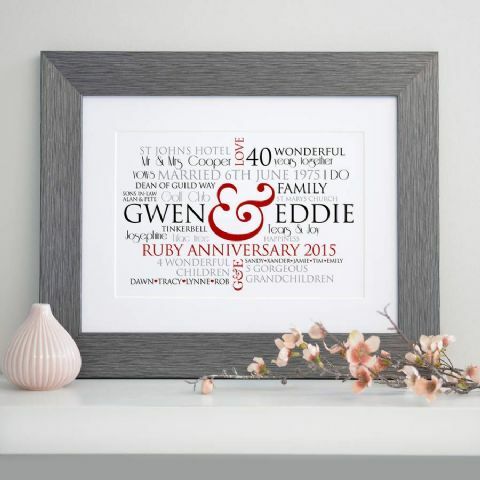 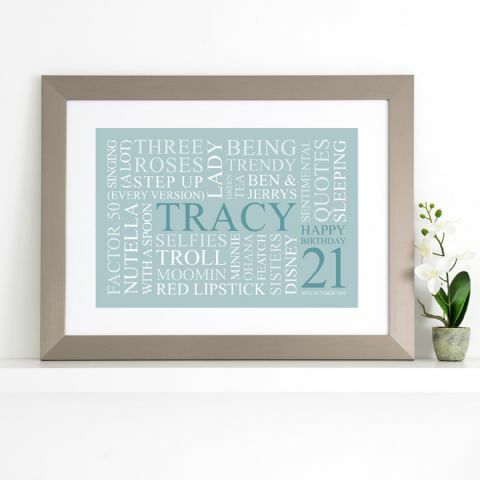 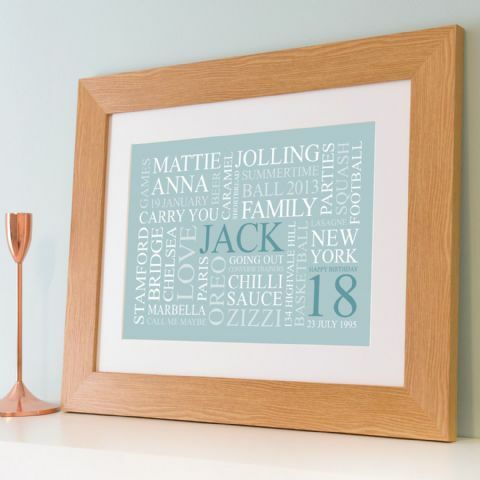 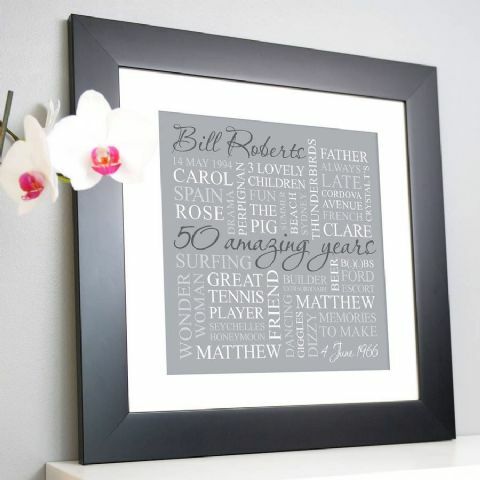 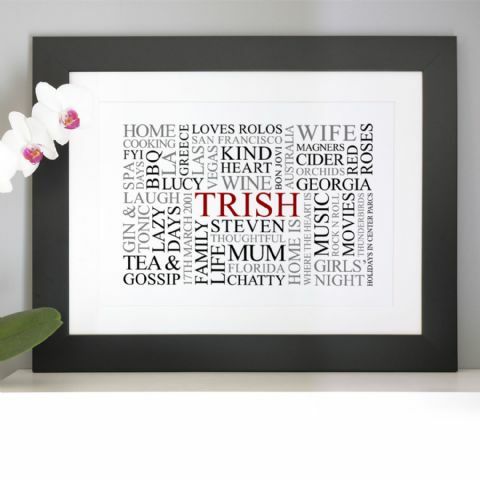 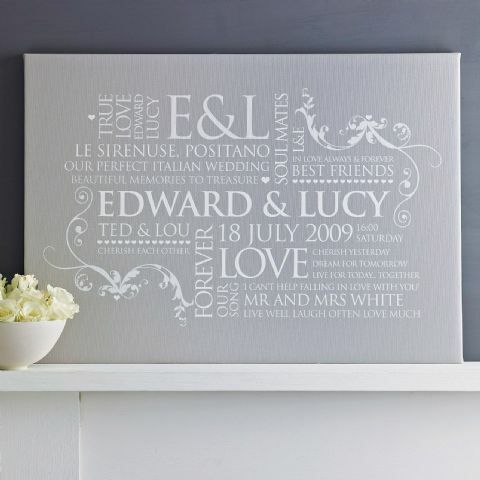 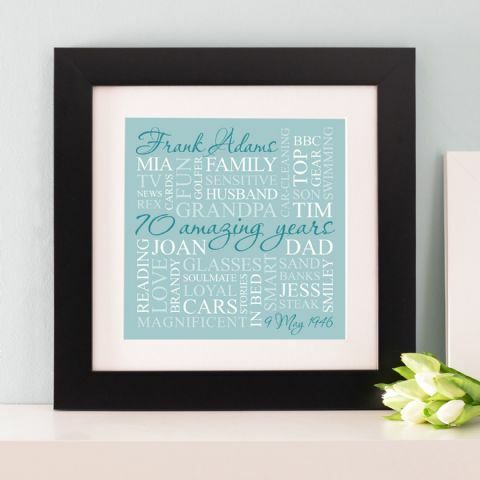 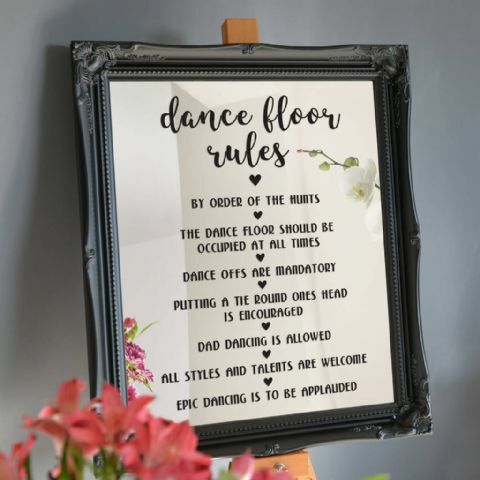 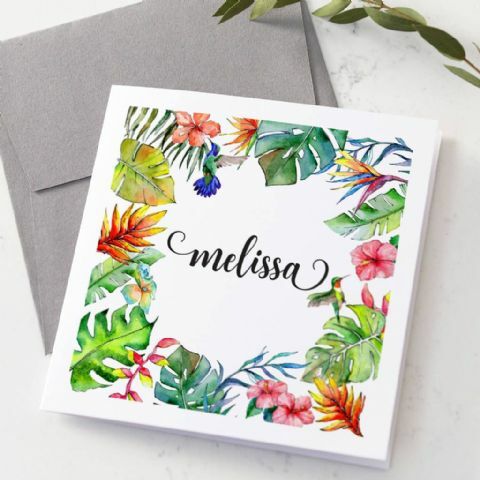 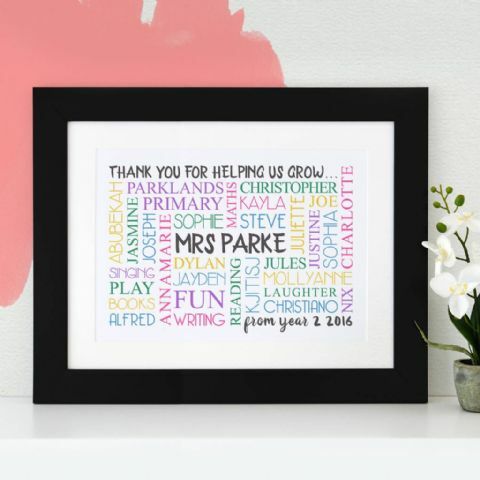 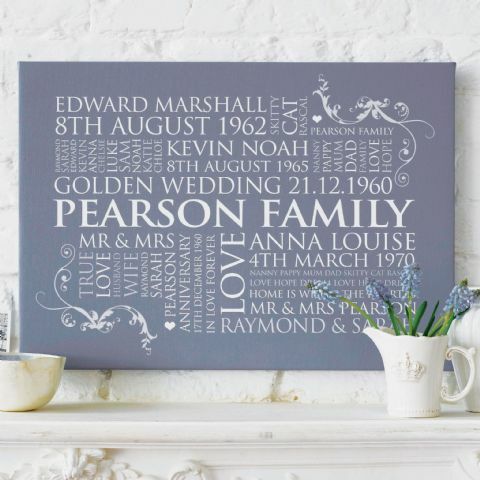 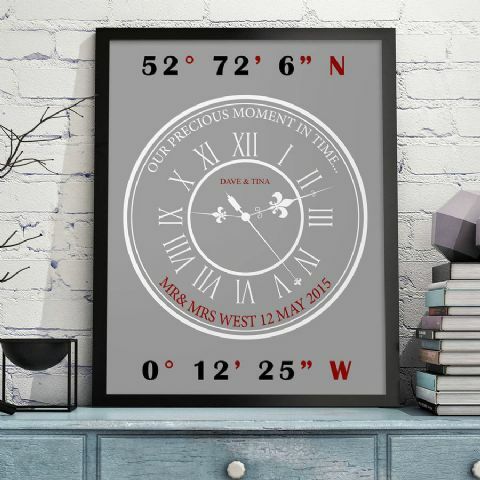 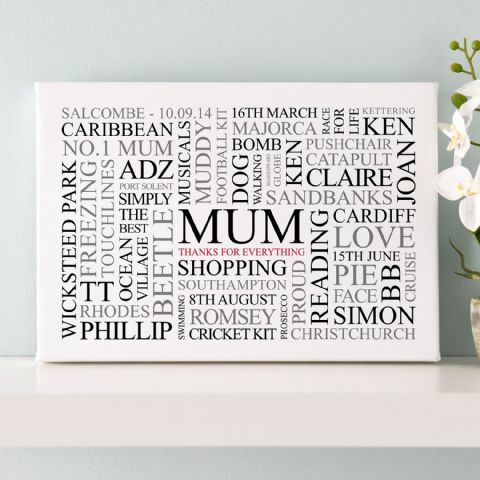 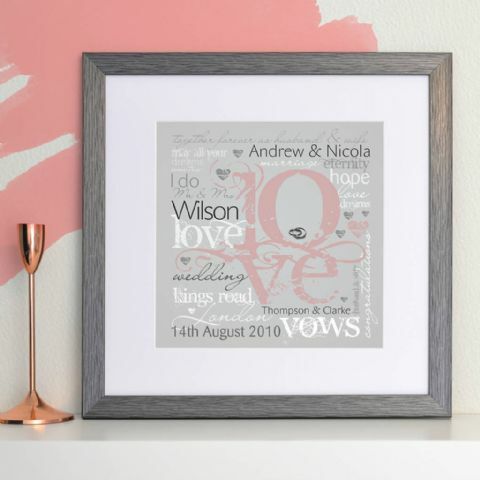 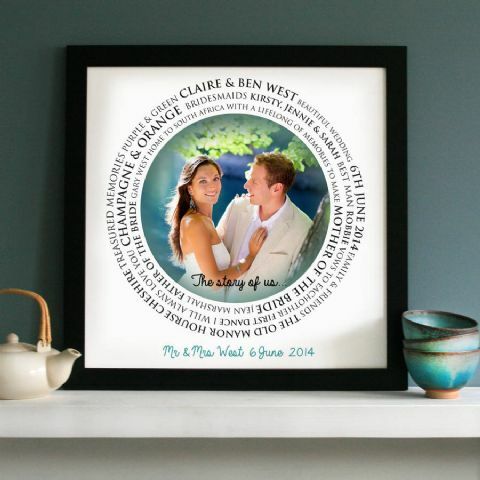 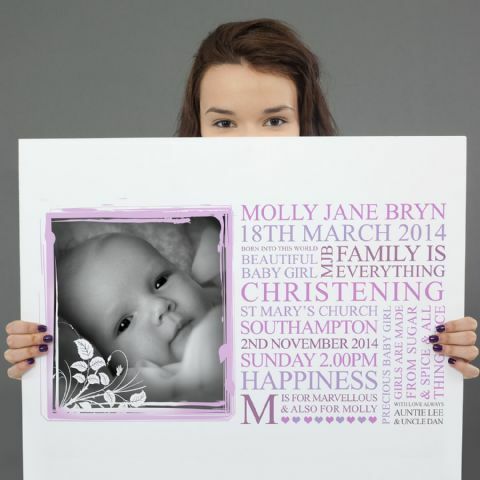 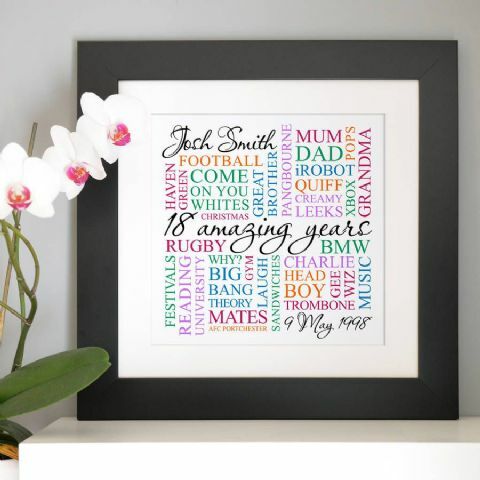 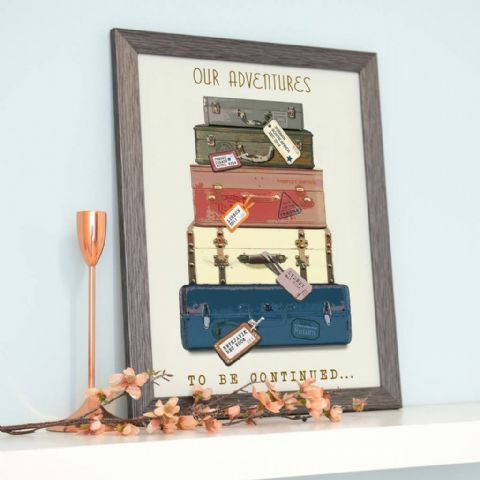 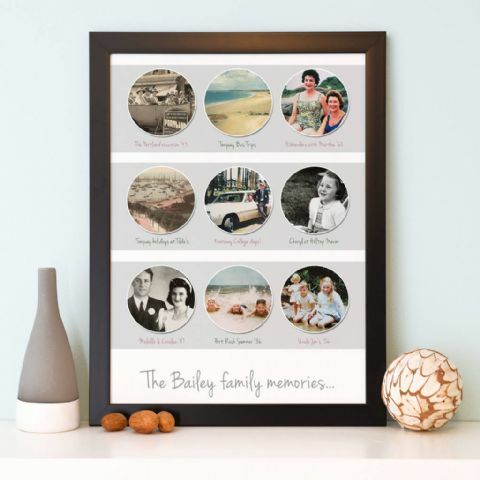 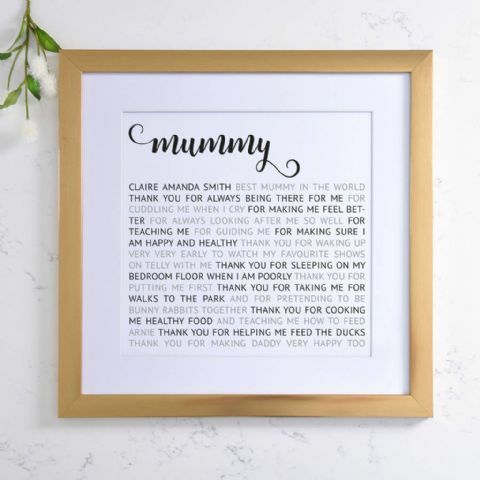 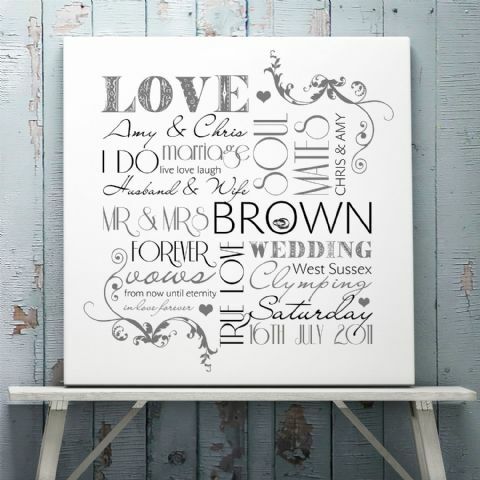 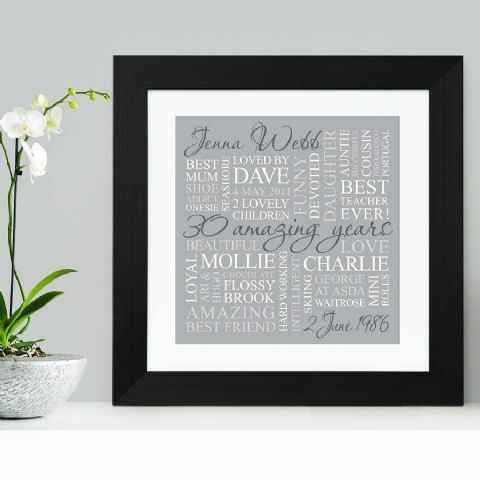 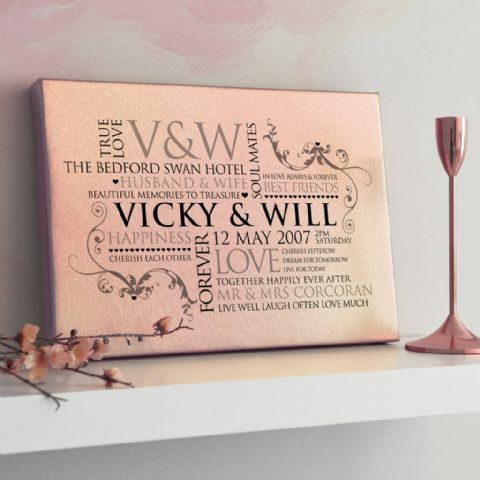 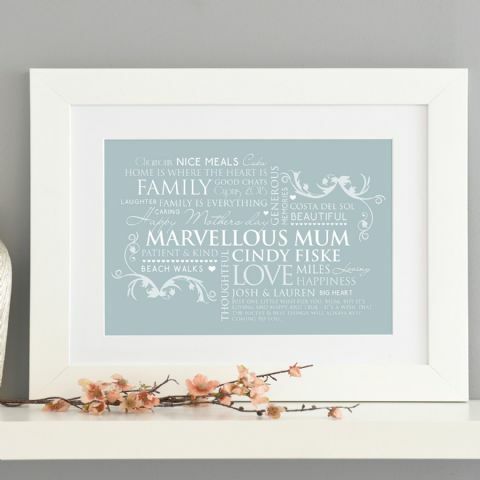 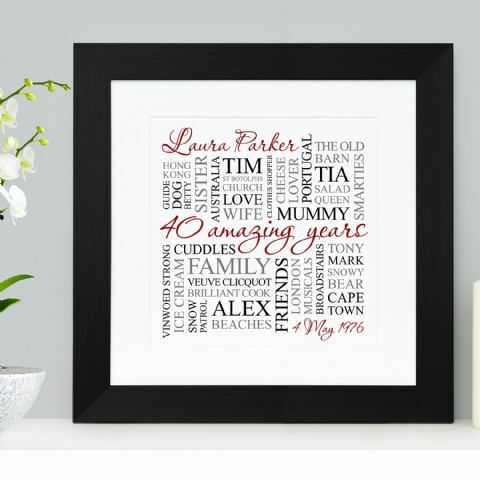 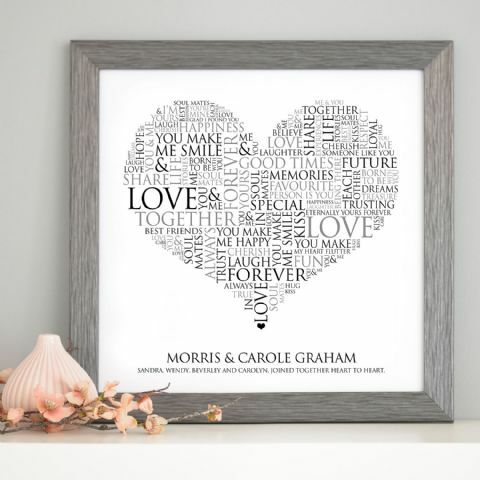 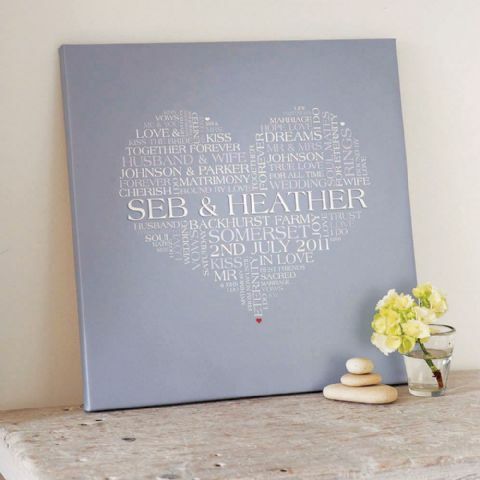 All of our designs are made for a specific occasion, however, if you find a design you love the look of, please don’t be afraid to make it your own, we are happy to make a beautiful birthday word art into an anniversary gift, a wedding collage into a birthday collage, that’s the beauty of personalised! 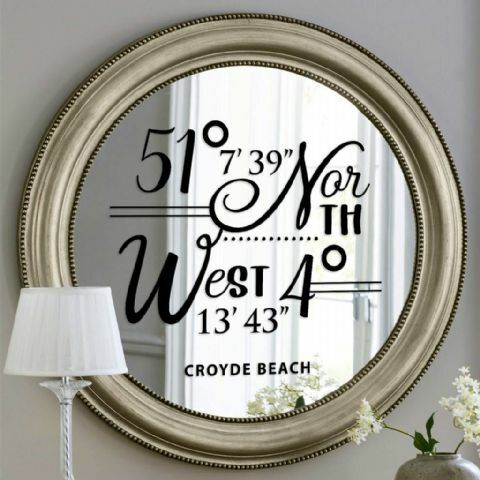 Any questions, please CONTACT US and we will be more than happy to give you all the answers!